Each record has a historical timeline of all the previous updates. You can see who made the update and when it was done. Click on the activity icon to open the Record Activity in the side panel. All updates made after a record is created will be visible in the Activity Timeline. 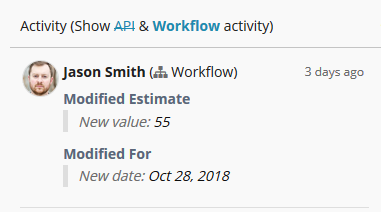 Worflow or API updates are also displayed here. 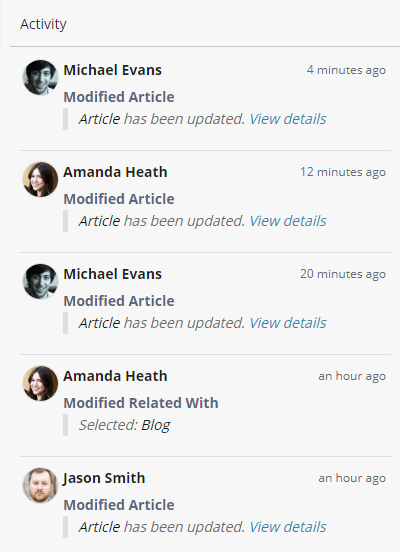 You can hide these type of updates to only see manual changes made by your team. You can see who is viewing the same record you are viewing by looking at the real time presence area. When a User updates a Multi-line Text Field, you can take a closer look at how the content was modified by clicking on View details. 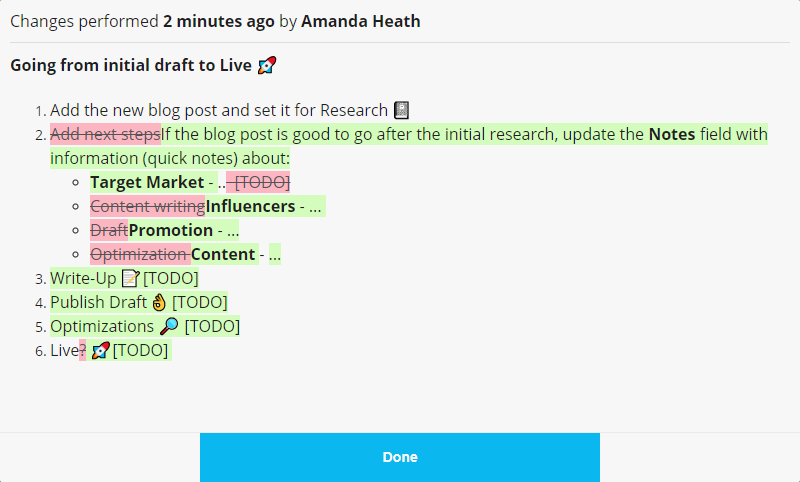 The content highlighted in green is the new content added by the user while the content highlighted in red was removed by the user.